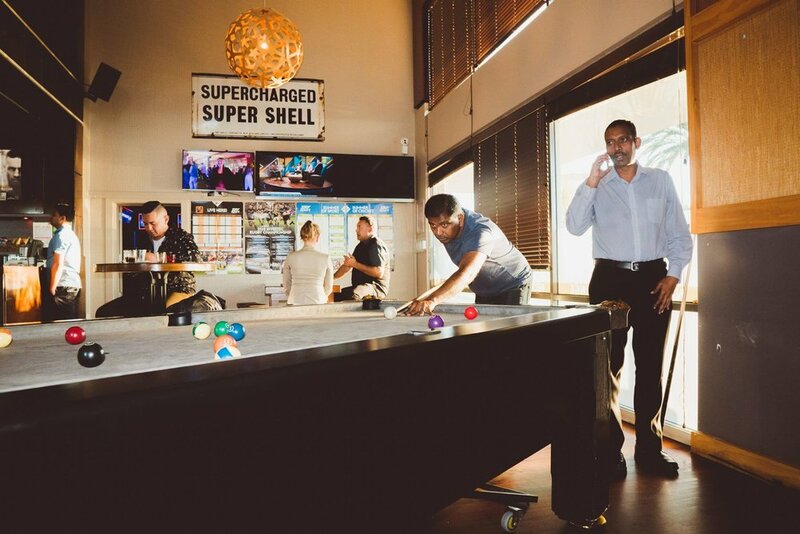 Located in Botany Junction, Celsius is a local hub for all things food and drink - while providing top quality function and conference facilities to the surrounding area and beyond! 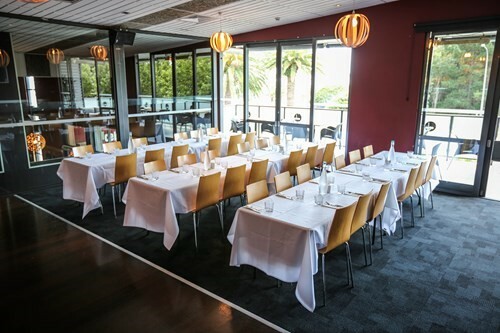 This is East Tamaki’s best location for both informal and formal dining, cocktail functions, your next meeting, conference or team building event. Offering great service and extensive menu’s, Celsius boasts three dedicated function rooms upstairs - ideal for seminars, presentations, training sessions or any social occasion that deserves a good party. A variety of delicious catering options are complemented by some of New Zealand’s finest wines and beers. Free parking is available on-site for your convenience. Crushed garlic, Italian herbs, Parmesan Cheese and Mozzarella Cheese. Mozzarella Cheese, Parmesan Cheese, Feta Cheese, Italian Herbs, Sweet Chilli Sauce. 180g Atlantic salmon with steamed seasonal vegetables, balsamic glaze and chimichury sauce. The Gold and Amber Rooms are completely private rooms upstairs, ideal for formal meetings, presentations and training seminars. The Gold Room and The Amber Room can be hired separately or joined combined to increase capacity. Kick start your weekend hosted by Celsius and Spark Lounge team this Thursday and Friday nights. Pineapple Kutz team leading the way with them sing along tunes and throw back bangers to get your head tilt nodding. No excuses this week! The Celsius and Spark team providing you with great service and a lively atmosphere. Every Thursday and Friday from 4.00pm till 10.00pm. Start the weekend by joining Spark Lounge for quality shisha, food & drinks at Celsius Bar Botany Junction. Live DJ bringing you bangers all night! Outdoor covered area & lots of parking available at the venue.